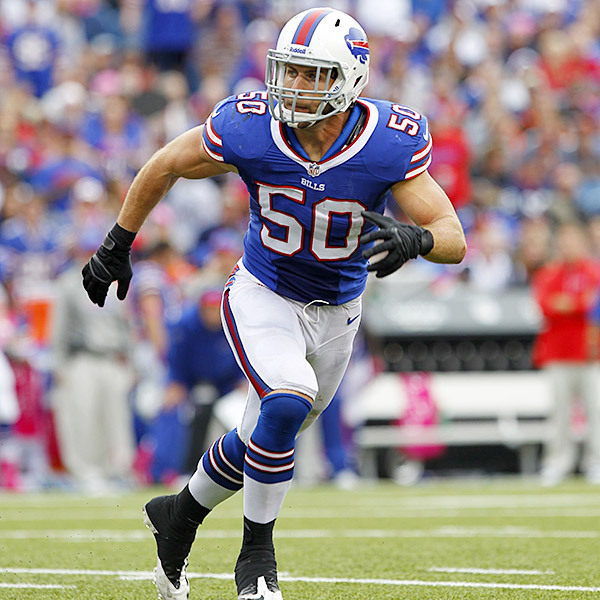 In the wake of the Kiko Alonso news, the most likely candidate to replace him is rookie Preston Brown. He was a tackle machine at Louisville and could be a good value in IDP leagues. The news is all good for Cardinals running back Andre Ellington this off-season. Coach Bruce Arians is predicting 25 carries a game which would put him on track for 300 on the year. Dolphins defensive lineman Dion Jordan will be suspended the first four games of the, further complicating a chance to turn around his career. Jordan is not looking like a viable product in dynasty IDP leagues. This entry was posted in Daily Update and tagged andre ellington, dion jordan, kiko alonso, preston brown. Bookmark the permalink.